Welcome to Locals Only, a week-long series written by Des Moines locals for Des Moines locals. Every day this week, a local blogger will be contributing a piece to the site. Super excited for this! Today we have Emily and Zachary Gilbert from Pleasant St. showing us around a few favorite local gems. 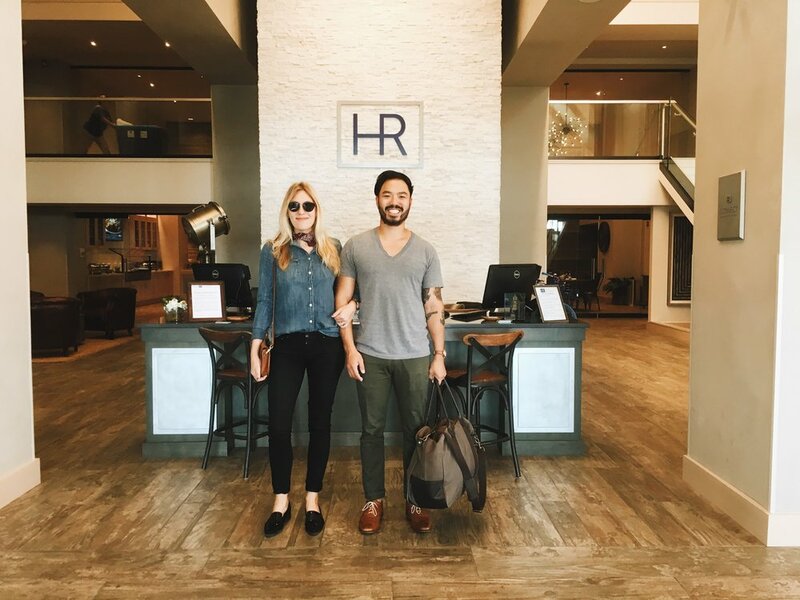 And in case you missed it, you can check out part one from their stay at Hotel Renovo right here. Des Moines seems to have been going through a small Renaissance these last 5 years. Either I am more aware, or there has been a noticeable surge of new eateries and watering holes this last summer. 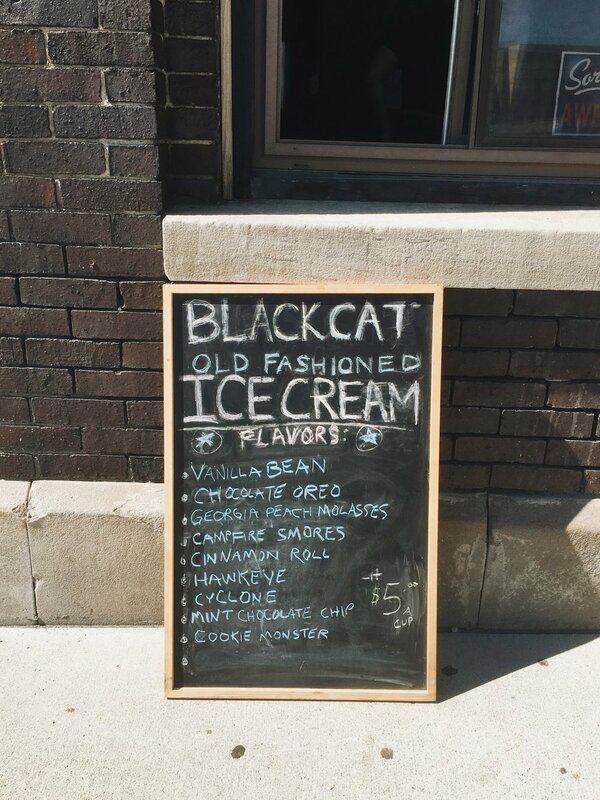 One of the newest to the block (literally a block from Sherman Hill) is Black Cat Ice Cream. After leaving the rustic serenity of Renovo, we headed on our way! This little window is situated in the same building as the Gas Lamp and catty corner from the Sculpture Park. The chef, Alex Carter (former pastry chef), has set out to make the freshest ice cream “on the planet." He values local dairy, local produce, no additives, and the old fashion churning method. This place is the perfect Saturday afternoon stop. Zach and I tried the Georgia Peach Molassas (YUM) and the Cookie Monster (YUM with blue teeth). A long time staple of Des Moines (and hopefully one that is never leaving) is El Bait Shop. Back when I visited Zach on the weekends from Ames, we would find ourselves here at least once a weekend. I can’t say we have stopped coming that often 3 years later. If you are from Des Moines, I shouldn’t have to explain to you the appeal, but if you’re passing through and reading this, Bait Shop has the world’s (what?!) largest selection of beers on tap. Rare beers, micro-brewed beers, regular beers, growler sized canned beers. In the summer, the patio is hopping with bicyclists, bikers, and about everyone in between. I crave their sweet potato fries with an Exile Hannah when it’s hot and sweaty out. In the winter, good luck finding a table to pop down at. But, when you do, the vibes make you feel like you are staying nearby in a rural fishing cabin and have just stumbled into the coolest towny bar. I usually end up craving the wings with dry Mo’Rub and whatever that week’s IPA is. Zach samples all the IPA’s and usually downs a burger of some sort. These are both ways to spend time out and about walking around Downtown Des Moines. Whether it be strolling through the sculpture park and peaking in the restaurants on Locust and Grand or it be down by the Des Moines River on the walkways and bridges late at night. 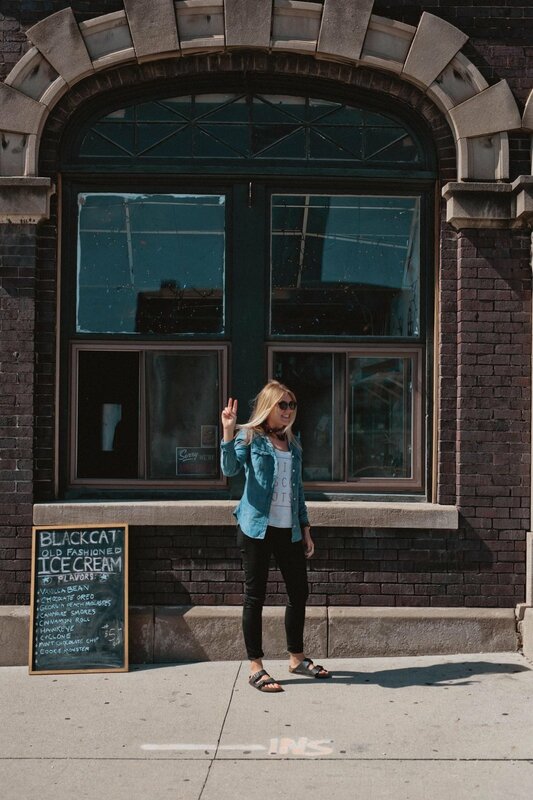 It excites me (and most of Des Moines) that these old buildings are finding inhabitants and we are finally having more reasons to try new restaurants and get excited about new shops opening up! Thanks for letting me show you around the City. Life is very pleasant here.